Not many know who Emmanuel Lévinas is nor his influence. Emmanuel Lévinas was a Litvak (Lithuanian Jew) who immigrated to France where he became a philosopher. He was a pupil of ‘Monsieur Chouchani’ (aka ‘Shushani’) under whom he studied the Talmud. ‘Monsieur Chouchani’ also taught Elie Wiesel as well as abused him. 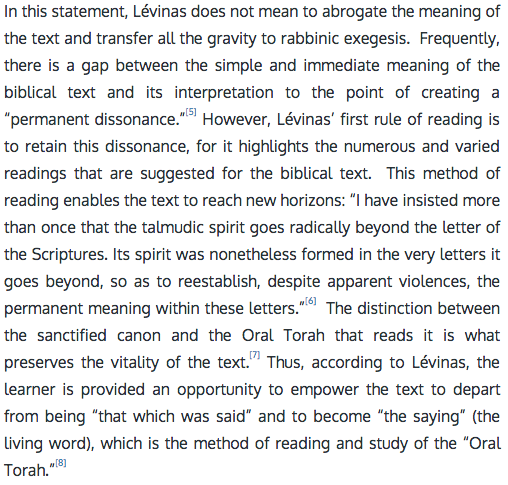 According to Michael Morgan of Indiana University, “Levinas advocates a reading of the Bible through talmudic lenses”. 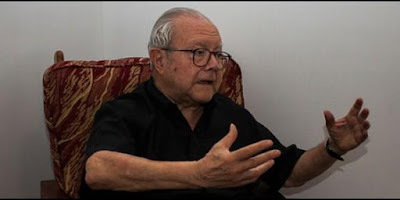 Saint John Paul II was an avid student of Lévinas while Jorge Mario Bergoglio's mentor, Juan Carlos Scannone was strongly influenced by Lévinas. Scannone adopted Lévinas’ concepts of ‘the other’ and ‘face-to-face’ into his ideas which we see reflected in the words and action of Francis. 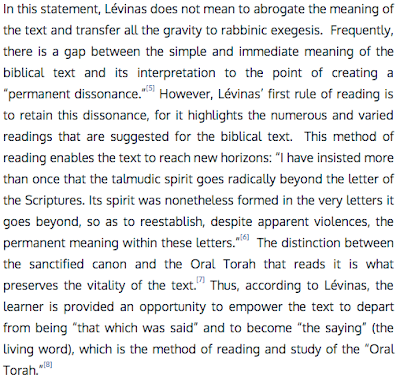 ZENIT spoke with Nigel Zimmermann about his book, Levinas and Theology, published by Bloomsbury in September 2013. Zimmermann teaches theology at the University of Notre Dame Australia in Sydney. ZENIT: Tell us about your inspiration for the book. 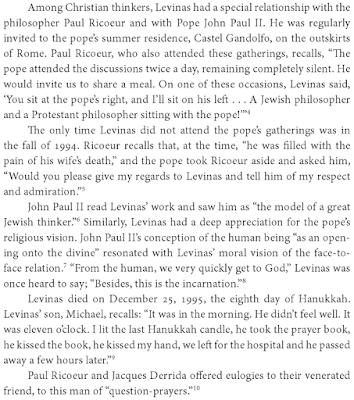 Zimmermann: I first discovered Levinas through reading John Paul II, especially his interview, Crossing the Threshold of Hope (1994). 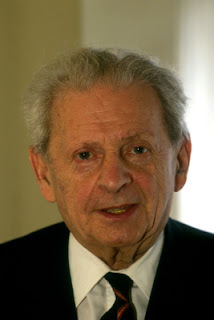 There, His Holiness called Levinas’ thought a ‘testimony for our age’, and paralleled his philosophy of the other with the ‘radical solidarity’ that the Christian Gospel maintains with every human person. The points of convergence between John Paul II — and especially his earlier writings before becoming Bishop of Rome under the penmanship of Karol Wojtyla — with Levinas, were remarkable. In fact, Wojtyla and Levinas had begun a dialogue and friendship which has largely been overlooked. Out of this, I developed an interest in both thinkers which took hold as I completed my doctorate at the University of Edinburgh in Scotland. 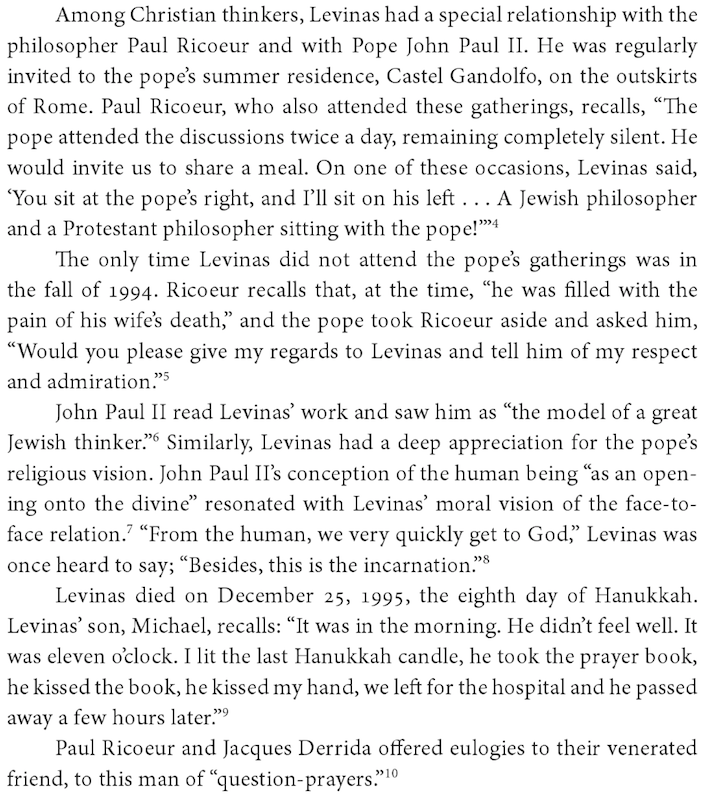 I recall my supervisor (the recently departed Rev Dr Michael Purcell) joking that one of my problems is that people who like John Paul II don’t read Levinas, and that people who like Levinas don’t read John Paul II…but in fact they had read each other’s work with great interest! A challenge for a Catholic theologian is to read both charitably and critically. More of the fellowship between Christ and Belial according to the VatII Revolutionaries and our old pals the rabbis. The former certainly know on what side of the bagel to spread the gefilte fish. So, if a major source for this article was 1Peter5, why is it that 1Peter5 has such a problem with the obvious? Good cop/bad cop? According to Nigel Zimmerman: "A challenge for a Catholic theologian is to read both (JPII and Levinas) charitably and critically." No. The challenge for neo-Catholic 'theologians' is knowing what to burn in a bonfire. What!? Book-burning? To neoCatholics that's the sin of all sins! Will Francis be getting a facebook account next?